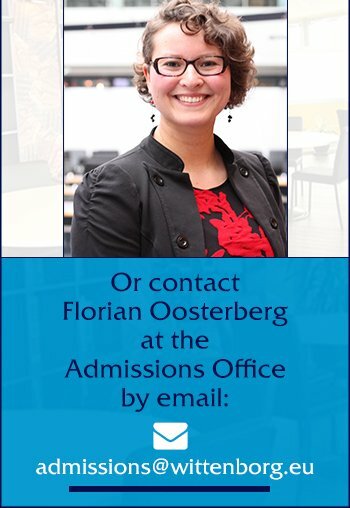 Wittenborg aims to integrate its PDCA Quality System into the process of peer review and accreditation, and thus peer review and accreditation into the daily processes of the school. This approach has developed as a result of reviews of the quality system in the past years, in relation to the programme, its support and administration systems, which at this time constitute the school as a whole. 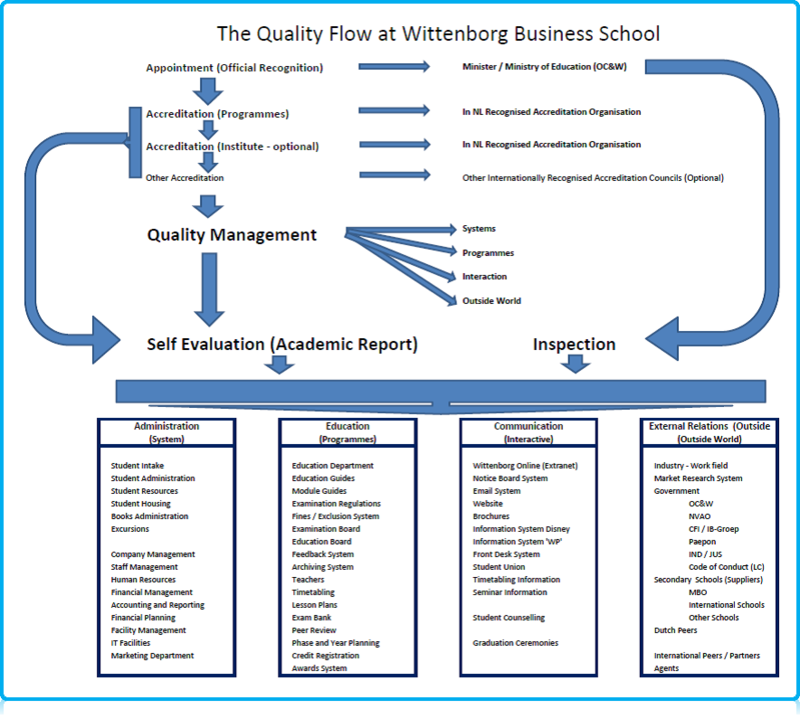 Using the outcomes of student, staff and success rate evaluations, Wittenborg includes these parts of the quality assurance system and therefore enhancement of the programme into the overall quality assurance strategy of the school. The quality assurance for the programme is embedded in the quality system for the institution. The Institutional quality system is based on a vertical Quality Flow which leads to the 4 (PDCA) Domains of Evaluation Cycles of Administration, Education, Communication and External Relations, shown in the chart above, taken from the Quality Handbook.